Released 27th May 2016 through Open Assembly Recordings/Polydor Records. 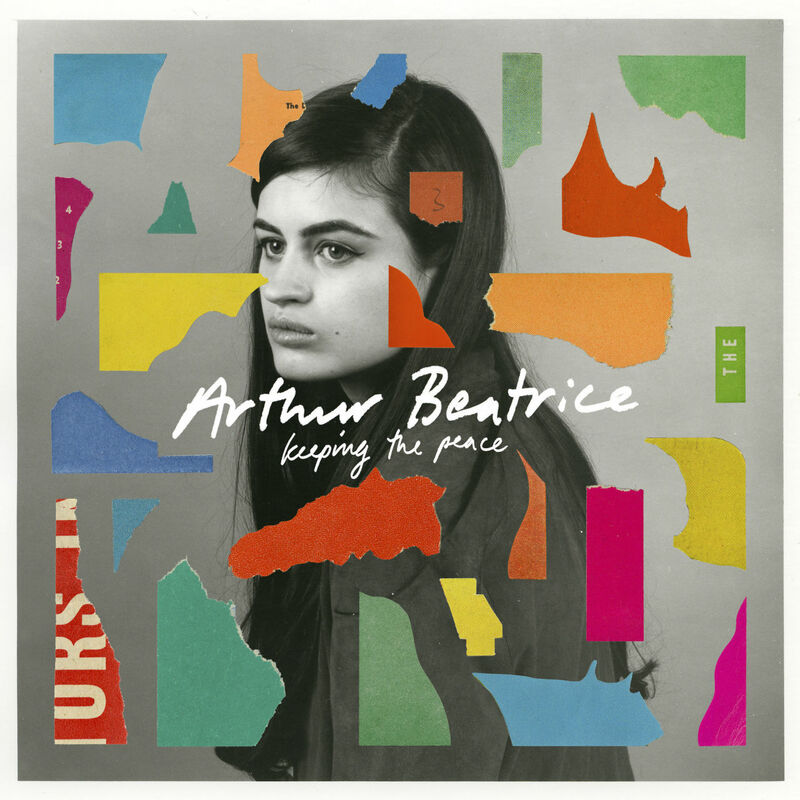 Marking a triumphant comeback last November with the pulsating, appropriately titled single Who Returned, Arthur Beatrice are back to show us all just why they're light-years ahead of anyone else making euphoric pop of the sort. It takes a lot of work and finite detail to make an album of such timeless worth as their debut 'Working Out' proved and still proves to be, and it goes without doubt 'Keeping The Peace' shares in abundance its continuing themes. Two years in the making the band aren't shy to admit the hardships they struggled with along the way. Working in such close confinement can never be an easy task to master over a prolonged duration yet pushing each other's boundaries has proved a fruition worthy of time and effort. What better way to kick things off than Real Life, a turbulent and choppy percussive opener keen to set its mark on what lays ahead. The beauty of Arthur Beatrice from an early day has been their indigenous way for creating stunning backdrops with the bare minimum. Stripping back all instrumentation on Healing except for a rousing string section to accompany singer Ella Girardot's operatic vocals shows testament to these undying talents. Already shared single Who Returned brings back the bounding arpeggiated synths we've become accustomed to as its chorus rises to dizzying heights. As its relentless pulsating ceases you get a sense that amongst the band's added sounds they're more alleviated than ever before driving home an unrivalled buoyancy. Having shared news that they'd be working with London's Children of Kingdom Gospel Choir, it's been an excitable few months wondering how it'd fit amidst their sound. All I Ask gives us our first proper taste. With a real prominence played on its vocals, a stunning realisation of the crisp beauty within its swelling notions and added brass sections comes to light. Elsewhere on the record I Left You and Worry bring together the band's excellent use of space as each track fills us with an expansive backdrop of pure indulgence, the latter containing one of the most beautiful and emotive piano breakdowns I've heard. As the album begins to wind down with I Don't Get That Chill, we get a stimulating showcase of the band's subtle ability in building a crescendo from its rather unassuming intro of softly plucked guitar and whispered vocals. The calm before the storm if you will in the lead up to album closer Brother. Saving their most chaotic for last Arthur Beatrice battle with thrashing percussion and jagged guitars, its convulsing melodies momentarily refraining for composure as we come up for air, only to be thrown headfirst in to its warped mind-state-altering finale. Try as you might, you won't ever find a band with more soulful and boundless energy as London's Arthur Beatrice. A true coming of age record that shows the band in their most honest and raw state yet. Laying such emotions bare can be a terrifying concept to most but thankfully Orlando Leopard, Ella Girardot, Hamish Barnes and Elliot Barnes mustered the courage to produce a record of such strength and determination.